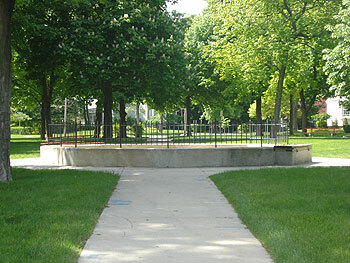 Three blocks west of the downtown area is Ludington's Rotary Park, formerly known as City Park. Because of the many improvements being made to the park by the Rotary Club, it was decided to change the name in 2015. Many trees keep this park shady and comfortable in the warm summer months. 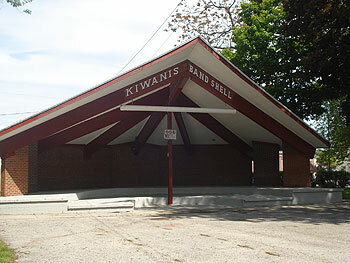 This is where the Rotary Band Shell is located, along with public restrooms in the back. Enjoy your lunch or dinner here at one of the numerous picnic tables, or just sit on the bench and watch the world pass by. Walkways dissect the park in a wagon-wheel formation. 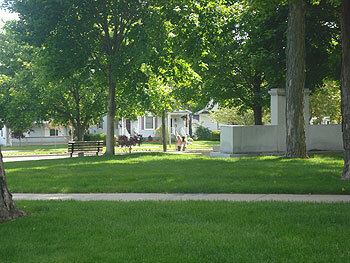 Rotary Park is the summer location for two Art & Craft fairs, as well as Movies in the Park in August. Head west through downtown Ludington, and three blocks past the 3rd stoplight at Rath is the park, between Lewis and Gaylord on your right.